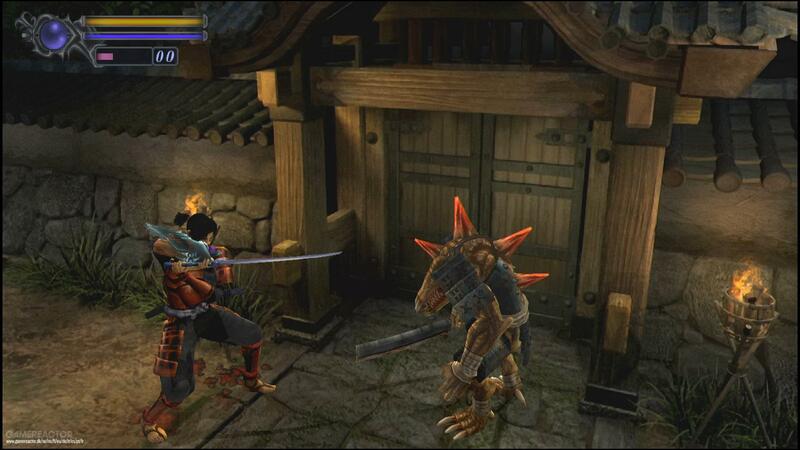 Onimusha: Warlords HD |OT| Who Put Samurai in this Resident Evil? -A game set in feudal Japan. -A game that features tank controls and fixed camera angles made by Capcom. -A game that features multiple elemental weapons that you can wield. -A game sort of rooted in history, but only loosely. You'll see historical figures like Oda Nobunaga, but also monsters and elemental swords and portals to other realms. It's about the perfect compromise between the slow, atmospheric classic Resident Evil games and the more action-based Devil May Cry games. You play as Samonosuke Akechi, a samurai wielding the power of the Oni Gauntlet. During the Battle of Okehazama, Samanosuke of the Akechi clan watches but is attacked by Imagawa Yoshimoto's men. Though Nobunaga Oda was victorious against Yoshimoto, he is fatally wounded and assumed dead. A year later, Samanosuke receives a letter from his cousin Princess Yuki of the Saitō clan for his assistance as she fears monsters are behind the disappearances of her servants. Joined by Kaede, Samanosuke arrives too late to Inabayama Castle as Yuki is abducted as he and Kaede split up to cover ground. After being defeated by a monster while trying to rescue Yuki, Samanosuke is visited by the twelve oni who give Samanosuke the power to vanquish the monsters that abducted Yuki, the Genma, and seal their souls in a mystical gauntlet. In addition to playing as Samonosuke, you also play as his ninja partner, Kaede, at fixed points in the game. She has her own arsenal and moveset, completely different and separate from Samonosuke. The two of them work together to take down Oda Nobunaga and his army of demons. I'm not sure what Japan's fascination is with putting Nobunaga, a real historical figure, in fantastically historical settings, but here he is. We Americans don't put George Washington in our games... but I digress. As mentioned before, the game plays with tank controls and fixed camera angles, much like several of Capcom's other series. You will take Samonosuke through several different areas throughout the course of the game. The structure is very similar to Resident Evil. You start at a castle and make your way to other areas, and frequently backtrack upon acquiring a method of unlocking doors that you couldn't enter before. The Oni Gauntlet allows Samanosuke to absorb the souls of demons that he defeats, which he can use to upgrade his armor and weapons. Speaking of weapons, Samonosuke will gain access to three different elemental swords over the course of the game, each of which can be upgraded into three different levels. The Raizan (雷斬刀, lit. Thunder Slash Blade) is the lightning-elemental katana that is coupled with the Thunder Orb: Shiden. The first weapon Samanosuke receives, Raizan's magic enables it to unleash close range bursts of lightning energy on a single opponent with each strike. The Enryuu (炎龍剣, lit. Flame Dragon Sword) is a fire-themed western broadsword that is coupled with the Kōen Orb of fire. The Enryuu is slower than the Raizen but makes up for it with greater attack power. Its magic attacks allows Samanosuke to project a forward blast of fire that strikes all opponents in front of him. The Shippuu (疾風丸, lit. Gale Blade) is a wind-themed double naginata that is coupled with the Wind Orb, Arashi. Its magic attack enables Samanosuke to generate a whirlwind around himself by spinning it over his head, enabling him to strike multiple enemies in a full 360 degree range. Fans of the original game will appreciate the updated features in the PS4 version. Characters, environments, and cinematics have been given a high-definition upgrade, and both the original game’s display and more modern widescreen display are supported. Changing between the two display modes can be done at any time in-game, but certain menus are fixed. A screen scroll feature has been added for widescreen display that allows players to see more of the fixed screens than ever before as the camera now scrolls up and down based on your movement. This release of Onimusha: Warlords also allows players to move using the analog stick, which should improve movement accuracy and accessibility, especially in a game that is centered around combat. This was the same treatment that Resident Evil and Resident Evil 0 had for their release on PS4. For those who still prefer using the directional inputs like in the original game, that option is also open! Welcome back to fantasy feudal Japan. No genma modifications is such a travesty. Still a great game. Subbed. Thanks for making this, Sol. This game needs more eyes on the prize. Still not up for sale on UK PSN. Let me buy you darn it. This is a series I've always been interested in but never got a chance to try. I'm really looking forward to the remaster. I finished 3 and 4 but never really got around to playing 1 and 2 (just saw my brother playing them a little here and there). Big Resident Evil fan here but never crossed over into Onimusha for whatever reason. I'll happily be correcting that with this remaster. Does anyone know if the japanese physical release has got english subs? Edit: A search on google gave a yes, but the sources seem obscure. Does anyone know if there are any major graphical differences between the PS4 and Switch versions? Or anything other than trophies that might make the PS4 version better? I was leaning towards the Switch version for potential portability if I ever want to play that way and because I have some Nintendo credit to use. But I don't want to be missing out on some better experience elsewhere. Oh, it comes out earlier on PS4 than Switch. You should put the release dates in the OP. Taking my time with the Japanese Switch version (only way to get a physical cart for the Switch). Changed OST and the oldest version of the Issen system aside, I'm enjoying it all over again. But still, super stoked that Onimusha is back. I played it when it when it released in Japan December last year and platinum it. I miss this game so much. Would've bought it, but digital only on switch is horrid. You can now change weapons without accessing the menu as well. Still have all 4 Onimushas for my PS2. Great games. My personal favorite is 3 (despite the weird France setting). has it been announced if there are any main differences between the Switch and PS4(Pro) versions? Anything with frame rate, resolution etc? Other than that, nice OT. I can't wait to play. Checked PSN and it looks like it doesn't come out until the 15th so I'll wrap up Red Dead before jumping in. US info but hope this helps. Couldn’t find anything about staggered releases for any system. Never played the original, and after playing the RE2 demo, I need this in my life. Day 1. There’s some nice videos that already detail the missable achievements, file locations, and how to beat that Oni soul mode. Received my copy just after Christmas and have been HAMMERING it. I absolutely love it still, but it's also reminded me of how much Onimusha 2 and 3 improved the combat and the general mechanics going forward. I hope they somehow work out a way to bring those games to modern platforms too. Even including the enhancements added to the Genma version would've remedied this, but alas, I guess Capcom didn't have the code available or something. 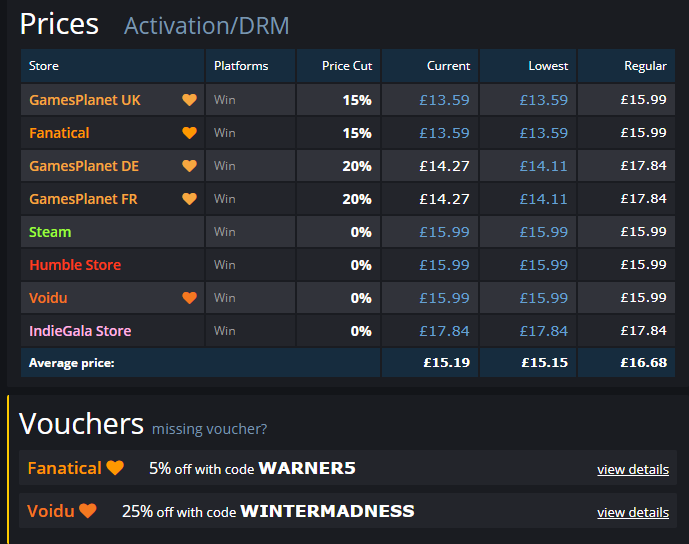 Does anyone know how the licensing works with these games? I always assumed because of the use of real world actors that it'd always be hell to get a re-release to happen. Just wondering how likely it is for the second and third games to get remastered too. I also forgot how short it was. I hope enough people buy this so that Capcom releases Onimusha 2 HD, that game is fantastic. Assume the Switch and PS4 versions have English, not sure though on PS4. For switch just log into/make and log into a Japanese region account and buy the game. Whatever language your console is set to, it should default to it if its available in the games date. In this case English. PS4 does the same with applicable titles. The PS4 version does have English. Americans really should try to make a game about George Washington coming back from the dead and bringing with him an army of demons from Hell. Is this going to be released on XBONE as well? Already pre loaded on my Switch! What an amazing game! This game was a true event when it was released. I remember looking at pictures in gamepro with friends in class and getting hype over the Resident Evil meets Feudal Japan concept and quality of the graphics. To put it in perspective for those not familiar with this series, imagine getting a PS2, the long-awaited console to the beloved playstation with it's massive library of classics and for an entire year your best options of stuff to play for the most part are titles like SSX, Madden, Midnight Run, Fantavision, Summoner,The Bouncer (actually somewhat underrated, but definitely not one of Squaresoft's classics) and ports of games you've already played, etc. And then you start this game up and see that spectacular opening scene with samurai charging in a rainstorm and that striking actor from that Wong Kar Wai film front and center as a badass fighting them while a majestic orchestrated soundtrack (one of the very early examples of it in video games) elevates it to true cinematic bliss. It was one of the first moments of "this really feels like a leap forward from the PS1 days" back then. My fav is 3 too (because of the weird France setting). I enjoyed the Japanese version, but the new soundtrack was disappointing compared to the original. I imported the Switch physical Japanese release, so I got the game cleared two weeks ago. I enjoyed it, it was my first Onimusha run, but I am aware of Genma and even played it back then on Xbox. My memories about it are pretty foggy though so I didn't notice the lack of content too much, same thing applies for the OST, I thought the new one was pretty good though! 'Modern' controls are making this game really easy though, I'll do a second run without using them at all I think, I ended up relying on those too much. I'd love it but I don't see Capcom doing that for this series. Off the top of my head, I don't remember it doing RE numbers. I'd imagine they would make a new title rather than remake any of the originals. Nice to see them revisiting this series, 2 is my favourite, I loved that game back in the day. It isn't "botched," it's just different. And holding that against the game is incredibly unfair given the legal mess behind the original score. No Gemna updates is disappointing, of course. But it's minor in the grand scheme of replaying a fantastic game in HD and helping to support the franchise continuing. There's no legal mess. It wasn't stolen, it was just ghostwritten. Whilst on the topic of Onimusha, did anyone here ever play Onimusha Tactics (Final Fantasy Tactics edition of Onimusha released on GBA) or Onimusha Blade Warriors (half side scroller brawler, half fighting game)? Never did play those. I revisited Blade Warriors last week with some friends and..... it was not as good as I remember it. I also didn't have my memory card so it was annoying that I didn't have all the characters unlocked. OP if Japan history is your thing, check out NiOh. There's pretty much every historical figure from Sengoku period in the game. I liked it back in the day, but in this day and age I really don't think I could play a game with tank controls and fixed camera angles where the enemies are off screen half of the time. I guess it does have that old school charm, but I'd get past it in a few minutes and it would quickly annoy me.